This past week, fifth graders arrived to school early and piled on a school bus to head down to the Hall of Science in Queens. Students didn’t know what to expect, other than that they’d have the opportunity to interact with a hands-on museum. 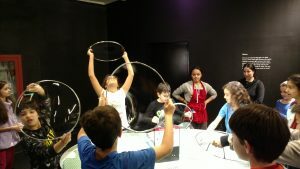 Some students even groaned at the idea of going to a “science” museum. However, attitudes quickly changed when students arrived and entered the first exhibit which focused on the search for life beyond Earth. 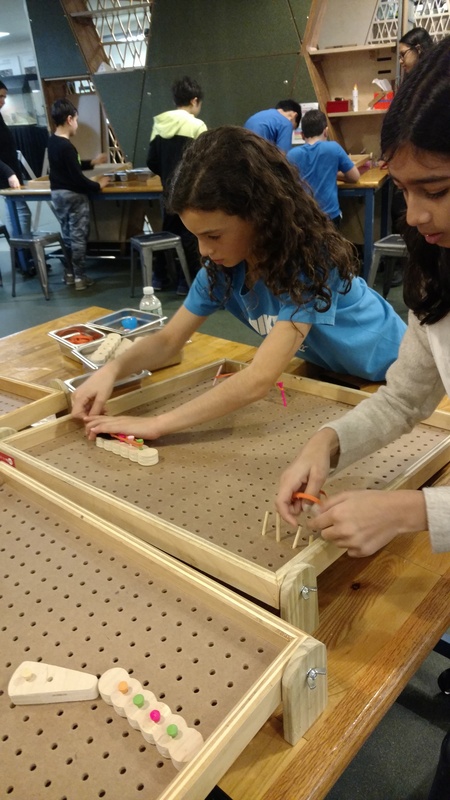 Students marveled over the realistic prototype of the Mars Rover, and were fascinated, and disgusted at the same time, to learn about the various odors emitted by living organisms. 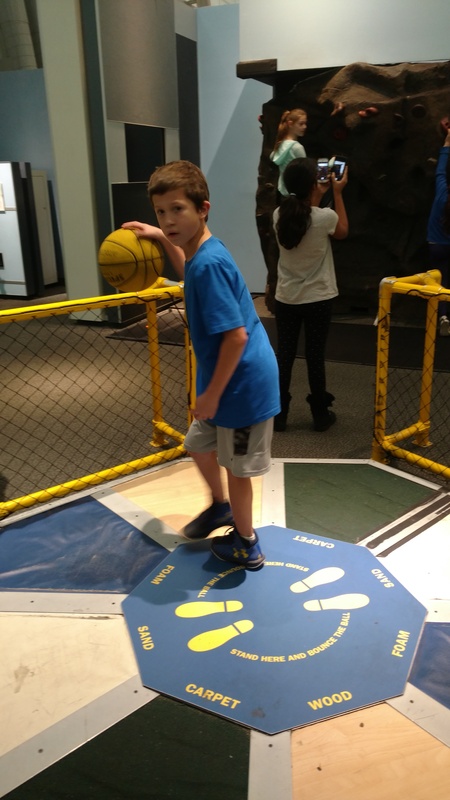 Students continued to explore the museum; some bouncing basketballs on different surfaces, while others predicted and tested which kind of ball would travel through the air at the fastest speed. Additionally, students participated in a student-centered workshop on simple machines. They conducted mini-experiments to determine how machines make work easier. 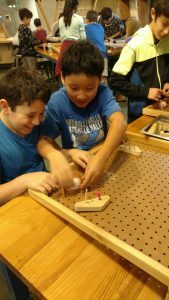 (They also learned that this knowledge would come in handy for their future Rube Goldberg projects!) 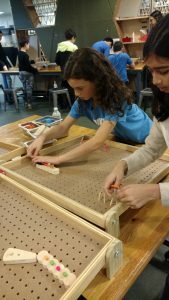 According to many of the students, their most favorite experience involved working in the design center where they used pegboards, rubber-bands, golf tees and wooden formations to create their own pinball machines. 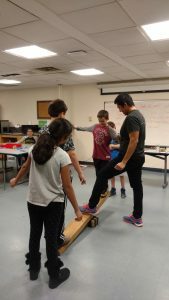 As I watched students engage in these activities and interact with other hands-on parts of the museum, I was amazed at the natural curiosity and wonder that students have for understanding the world around them. Their innate desire to explore, learn and create was a complete joy to witness. I hope that students take the opportunity to visit the museum again with family. It is truly a special place! Check out some of the pictures from our trip.